EZ Funnel has just made it easier and faster to add fuel additives to any car. The simple SNAP-ON feature makes adding fuel additives to your car quicker with no spill. 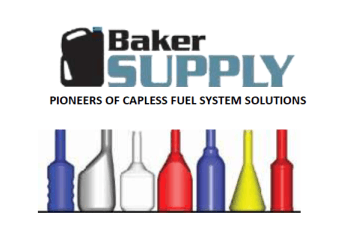 Best of all, EZ Funnel works with all new CAPLESS fuel systems that are currently in more than 15 million cars and trucks on the road today. system. This new IML process offers live photo quality images that will not tear, fade, wash away, wrinkle or curl. Additionally, the process offers 90 to 95 percent surface coverage. Explore Our Endless Options Of Thin Ware! An innovative approach to personalizing your specific packaging needs.